Product information "Uebler extension kit clutch carrier P22-S"
Your extension kit for the 3 bike. The Uebler extension kit for the P22S clutch carrier! Very helpful and easy to assemble. 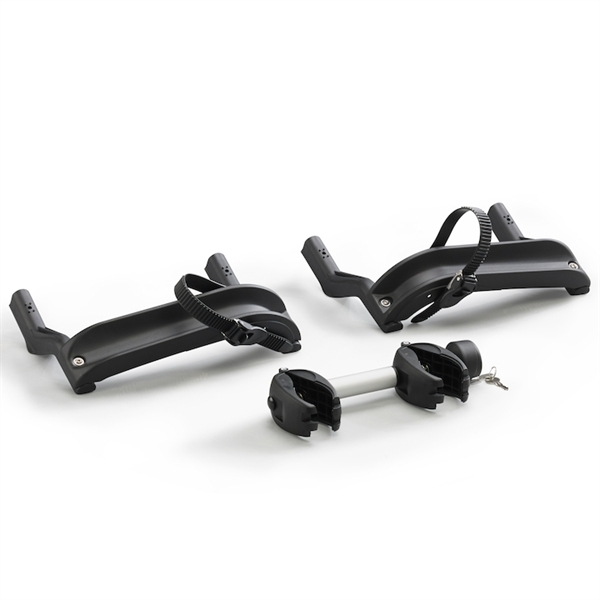 If you want to transport several bikes on your bike carrier, this is the best solution. This is not only compatible with conventional bicycles, but also with e-bikes. Your advantage is the handset flexibility, because you can equip your bike even with hindsight with it. The maximum load with kit is 52kg. It is lockable as standard. Included is a bicycle rail and a spacer. Related links to "Uebler extension kit clutch carrier P22-S"
Customer evaluation for "Uebler extension kit clutch carrier P22-S"